As I stood on the sideline at Memorial Stadium during overtime, in the northwest corner near the end zone, I couldn’t help but get a feeling of deja vu. I couldn’t muster up any confidence in Nebraska, mostly because I’d seen this show before. It looked a lot like last season’s overtime loss to Wisconsin last year. The teams battled to a draw in regulation despite Nebraska having a chance to win the game outright late. Wisconsin got the ball first and scored without too much difficulty, and with the pressure on, Nebraska failed to respond. The difference is that Wisconsin team was ranked No. 8 in the country and Nebraska was 7-0. This time around, Northwestern was 5-3 and Nebraska was .500. What a difference a year can make, huh? That Nebraska put up a better fight against a top 10 team on the road in year two than it did against an unranked squad at home in year three is an indictment of the program’s progress in itself. A closer look at how it happened makes things look even worse. The same old problems that have cost this team all season reared their ugly head once again. After putting up some huge numbers the last few weeks, quarterback Tanner Lee reverted back to his early season form, throwing three interceptions and completing 55 percent of his passes. Nebraska needed Lee at his best in order to win, and they didn’t get him. On the other side of the field, Clayton Thorson didn’t have his best stuff either. The three-year starter was right around 54 percent on his passes, missing throws throughout the night and finishing without a touchdown pass. The difference is that the Wildcats picked up their quarterback; they didn’t need him to save them. Nebraska actually got more out of its running game than almost anybody expected, including their offensive coordinator. The Wildcats had held four straight opponents to under 100 yards rushing. Nebraska snapped that streak, rushing for 112 yards on the day. 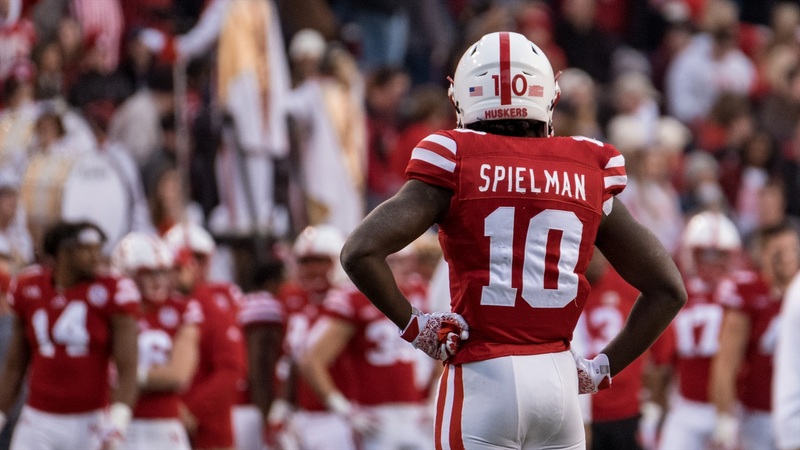 However, 40 of those yards came on one jet sweep by redshirt freshman JD Spielman. Running back Devine Ozigbo only averaged 3.1 yards per pop on 23 carries. Northwestern, on the other hand, ran for 232 yards at 5.2 per tote. Tanner Lee’s third interception came on a play where a Northwestern stunt beat max protection by Nebraska and Lee got hit as he was releasing the ball with his intended receiver open downfield. Nebraska surrendered three official quarterback hurries and a big sack in overtime. Thorson, on the other hand, had all day to throw on most of his drop-backs as the box score only shows one hurry and no sacks by the Huskers. As a symptom of the continued struggles of the offensive line (the biggest recurring problem this season) among other offensive woes, Nebraska failed to capitalize on multiple opportunities to create separation in the second half. The Huskers have struggled to convert in the red zone all season, and Nebraska’s two trips inside the 20 on Saturday resulted in a field goal (after an 18-play drive) and an interception (where Lee was hit). In overtime, Nebraska didn’t even make it into the red zone despite starting at the 25. Lee credited his defense, and the Wildcats did only score 24 points in regulation. There were several impressive plays, both individually and team-wise. But Northwestern’s offensive line had struggled this season just like Nebraska’s as the Wildcats were only averaging 3.5 yards per rush, and on Saturday night, Northwestern ran for 5.2 a pop with five different players recording a run of 14 or more yards. Derek Peterson touched on Bob Diaco's defense already so I’ll let you read his story, but the bottom line is the unit has not made enough progress nine games into the season to get the job done. What do the coaches say to their players after a loss like that? “Learning from mistakes” is another recurring theme for this team. It’s something we’ve heard after pretty much every loss. Whatever they’re learning, it doesn’t appear to be enough. I wrote a column after the Ohio State loss laying out what Riley and his staff needed to do in order to return in 2018. That path did not include barely surviving against Purdue and losing at home to Northwestern. Nebraska is making the same mistakes over and over again. It’s struggling in the same areas of the game every week. Injuries and youth aside, it’s just not making enough progress. Watching this team feels like Groundhog Day. Or perhaps “Happy Death Day” is a more timely and appropriate movie reference.